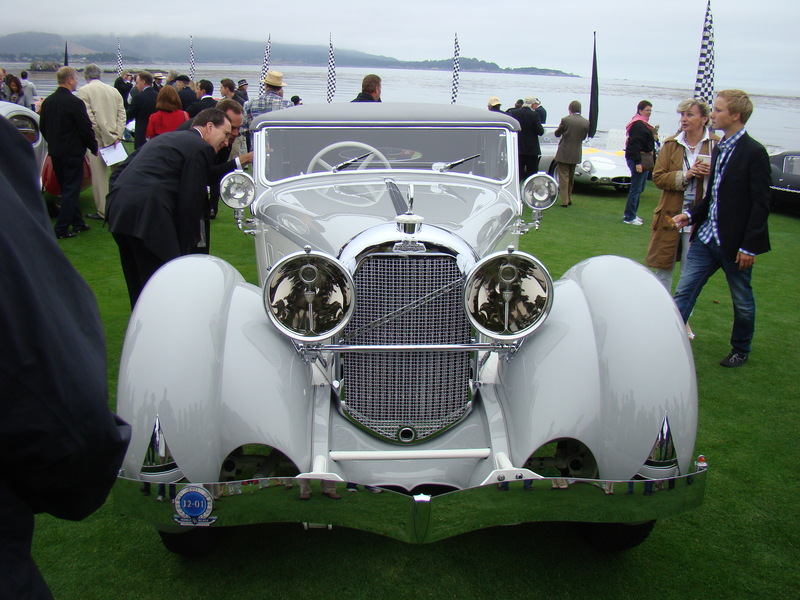 This is the ultimate automotive dream vacation to the greatest car show in the world, the 2019 Pebble Beach Concours d'Elegance, along with all the premier car events surrounding it for five fantastic days. The winning raffle ticket holder and a guest will receive the following which has been put together by someone who has attended these events over many years. The total value of this package is $8,500. Only 400 tickets will be sold. Tickets may be purchased online through Wednesday, June 5, if still available. After this date, tickets will be sold at weekend events, June 7-9. You will fly roundtrip coach airfare to San Francisco on Wednesday, August 14, 2019. You will pick up your rental car from the rental agency of your choice at the San Francisco International Airport (Gift Card provided at $80 per day) and drive south on US 101 to Monterey. Check in at this beautiful hotel in the center of Monterey as guest of RM/Sotheby’s for 5 days, departing Monday, August 19, 2019. Included are room charge and tax only. Check in at the RM/Sotheby’s Auction Desk at the Portola and pick up your auction package and credentials allowing you to attend the previews, receptions and auctions as a bidder (bank credit reference required) or as a spectator at one of the nation’s top auction houses on Friday and Saturday evenings, August 16 & 17. On Wednesday evening, August 14, you will attend this signature event with VIP tickets to see the finest automobiles and aircraft while dining on a gourmet dinner by the bite from some of the area’s best chefs along with cocktails and wines from the finest Monterey wineries. Thursday, August 15, gives you a chance to drive down Highway 1 to Big Sur for lunch and along the way preview some of the cars in Sunday’s Pebble Beach Concours d’Elegance as they participate in the Tour d’Elegance. Lunch at Sierra Mar at the Post Ranch Inn is highly recommended (not included in package). On Friday, August 16, you will be attending this 10 AM to 4 PM, invitation-only event at the Quail Lodge, one of the toughest tickets to obtain. In addition to the wonderful collection of automobiles in the center of one of the largest fairways, five different themed food and wine/beer/cocktail areas surround them leaving you with the difficult task of choosing what to look at or sample next. On Saturday morning, August 17, drive out to WeatherTech Raceway Laguna Seca to view historic cars racing like the F1 championship is on the line, and walk through the Paddock area to watch owners and mechanics tear apart their cars hoping to add just a bit more horsepower. Wander through the market area for the best car stuff on the planet. And be on the lookout for the many celebrities in attendance at this signature event. On Sunday morning, August 18, avoid the traffic and take the Portola shuttle to the big show at Pebble Beach, one of the greatest automotive events in the world. © 2019 ShowClix on behalf of Cincinnati Concours d'Elegance Foundation. All sales are final. Tickets are non-refundable. Thank you for supporting the Cincinnati Concours d'Elegance and Juvenile Arthritis programs of the Arthritis Foundation.